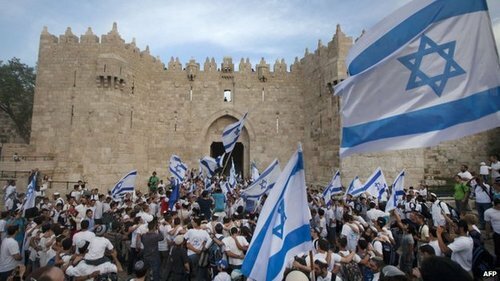 Today Jerusalem celebrates 47 years since its liberation and reunification following the Six-Day War. Many commemorative ceremonies are held throughout Israel, including a parade in Jerusalem, as well as memorial services for soldiers who died during the battle. 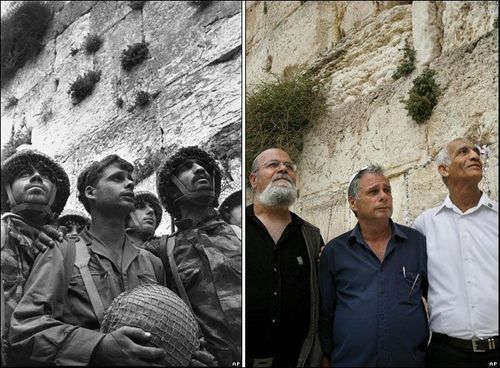 One of the most famous photos captured in the first moments following liberation at the wailing wall in 1967 shows three paratroopers, from left to right, Zion “Ziggy” Karasenti, Yitzak Yifat and Haim Oshri. To this day Ziggy regularly meets with AMHSI student groups, telling them the exciting story of the liberation. Michael Levin, too, learned about the heroism of these paratroopers in the 1967 battle from Ziggy, who had spoken to his class. Here’s an excerpt from an interview with Ziggy by SixDayWar.co.uk. “At Ammunition Hill, all we could see was a hill surrounded by trenches and barbed wire. When we started to move, they threw everything they had at us. We got through one fence and found more wire. I threw myself on it and acted as a bridge for everyone else. I felt no pain. We got into the trenches, which were shallow and narrow. When someone was injured we passed them down the line over our bodies. The Jordanians couldn’t get away, but they kept on fighting to the last man. I was the first paratrooper to get to the Wailing Wall. I didn’t know where I was, but I saw a female Israeli soldier, so I asked ‘Where am I?’ and she said: ‘The Wailing Wall.’ She gave me a postcard and told me to write to my parents before she disappeared. It might have been a dream, but then many years later I met the woman. She had been in the postal corps. The three paratroopers also recently visited the memorial for Michael Levin, an AMHSI alum (Feb, 2001), who was killed in action in the Second Lebanon war in 2006. The memorial was erected by Jewish National Fund at Ammunition Hill in Jerusalem, the site of a major battle during the Six-Day War. Michael’s story touched many hearts, especially because at the time the war broke out he was on leave with his family in Pennsylvania and wasn’t required to come back. Yet he rushed back to join his unit and met his tragic death. A group of individuals who served as lone soldiers in the IDF created The Lone Soldier Center in Memory of Michael Levin, which helps lone soldiers find housing, organizes Sabbath and holiday meals and counseling. 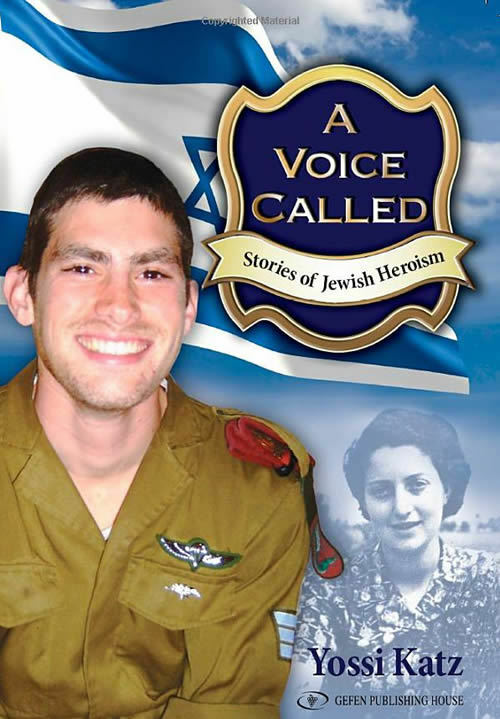 Michael’s story was included in AMHSI teacher Yossi Katz’s book, A Voice Called. Stories of Jewish Heroism (2010). 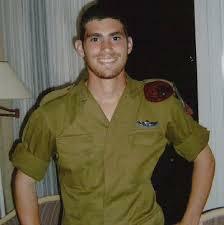 Please comment below if you knew or heard about Michael Levin and what Jerusalem Day means for you.